You are here: Home / Adorable Coops! / 6 Adorable Coops You Need In Your Backyard! 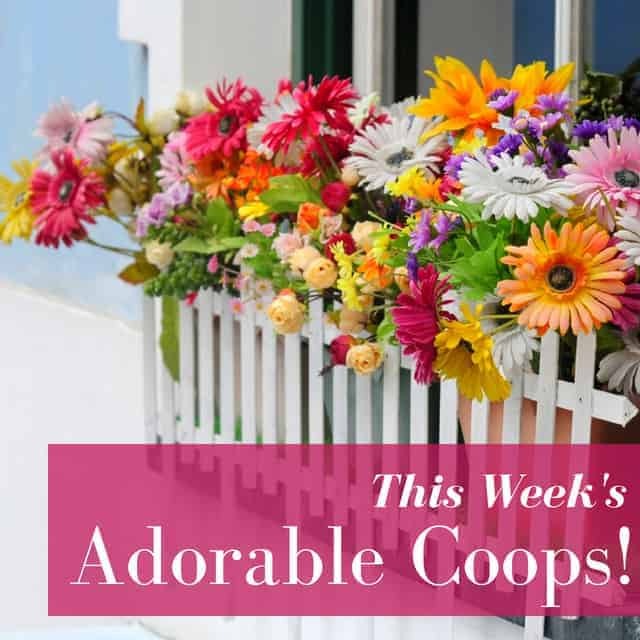 6 Adorable Coops You Need In Your Backyard! It’s time for this week’s Adorable Coops! Here’s 6 original and beautiful chicken coops you’ll love! Who wouldn’t want these in their backyard?? The rain finally stopped and the mist is rising from the trees. Someday I’ll stop ogling over the chicken coop (featuring duck!) but today is not that day. Summer chicken coop all covered in honeysuckle. Grateful for all those fragrant blooms. The hens knocked over their feed bucket then kicked it all over the place then we got five inches of rain. It’s pretty funky over there right now. ?Honeysuckle to the olfactory rescue! Our new chicken coop is all finished and my girls just couldn’t be happier! Virtually all the materials were recycled/repurposed – including that dreamy weathered tin roof (oh my, do I love a good patina! ), and it all came together so quickly + beautifully thanks to the genius of my dear friend Lowell (@streamsidehomes). I laid a wipe-clean floor on the inside (bless!) and Lowell installed multiple roosting bars so that Meredith can’t knock the other girls off (goodness, she is SUCH a bossy pants). I painted the door and the step to match our farmhouse and all that’s missing now is some silly hand painted sign for the front gate…”The Chick-Inn” perhaps? “Cluckingham Palace” maybe?